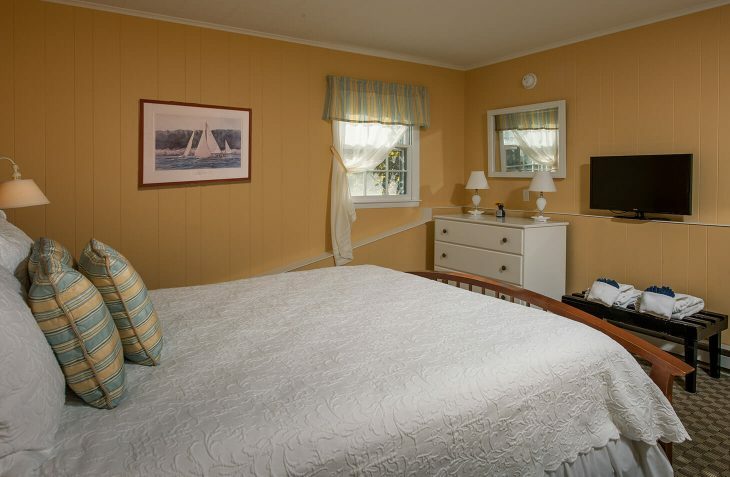 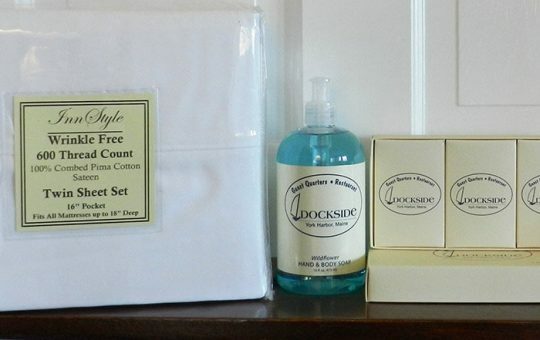 This comfortable suite is one of the best places to stay near York Beach, Maine. 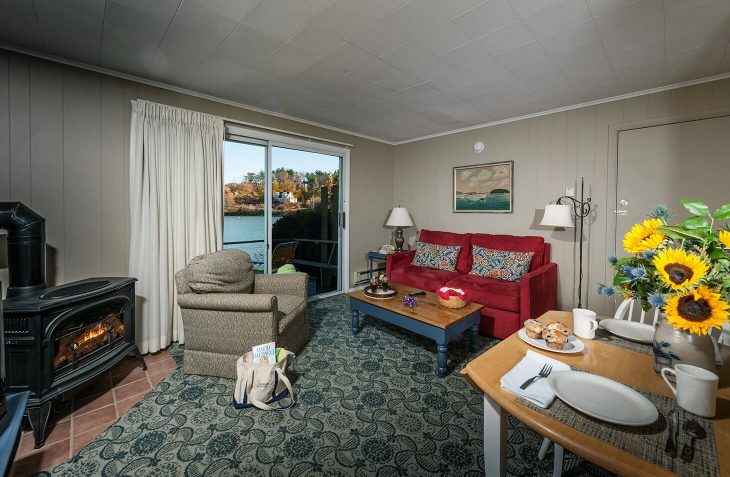 Located in the Quarterdeck building on first floor, this room has it all with a queen bed, private bath, private deck, and water view. 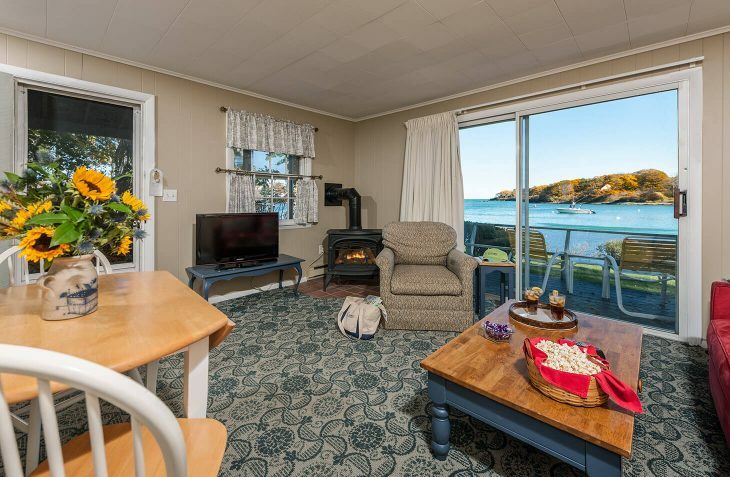 The spacious living area features a kitchenette with dining table, cozy gas fireplace and pullout sofa.